Groundnut, or, as it’s known around the world, peanut, is a legume that is traditionally thought of as a nut. Groundnut has many culinary uses and is widely eaten in baked goods, various Asian entree recipes, and on its own as a snack. Like most common nuts, groundnut can be turned into oil that is also widely used in cooking. Groundnut oil is known for its many health benefits and is a favorite cooking ingredient for millions of Nigerians. Find out how to make groundnut oil at home! Groundnut is one of the most versatile cooking ingredients that are found in most Nigerian kitchens. One of the most common uses of groundnut is groundnut butter. It’s different from groundnut oil since oil is extracted, while butter is made from whole peanuts. 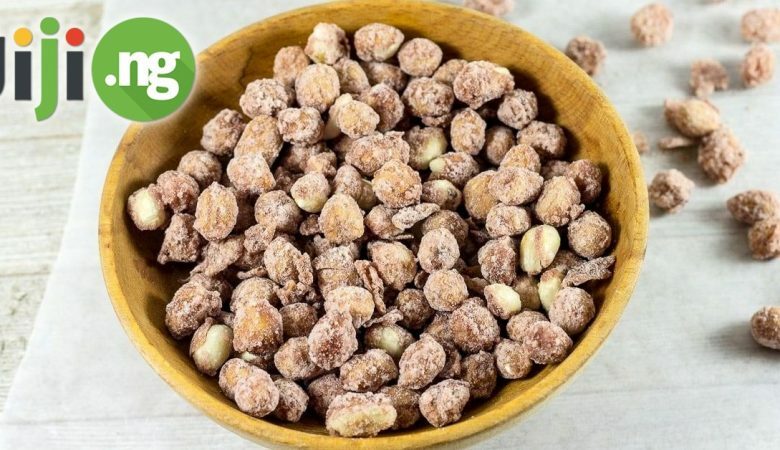 Groundnut is also a very popular snack that can be sweet thanks to cooking it with sugar and spices like nutmeg or cinnamon, or savory, with the addition of salt, garlic powder, paprika, and other spices used in savory cooking. Groundnut is highly valued for its multiple benefits for our health and beauty. Here are the most important ways in which groundnut can help you feel and look better. It’s rich in omega 3 fatty acids, which are an essential component of many beauty and health recipes. Omega 3 fatty acids make your skin clear and glowing, help your hair stay healthy, and reduce the cholesterol levels, lowering the risk of heart diseases. High fiber content makes groundnut a great diet-friendly snack despite its fat content. Fiber allows you to feel fuller for a long time, keeping you from overeating, and also helps your body flush out the toxins. Groundnut is a powerful anti-oxidant that successfully fights free radicals in your body. 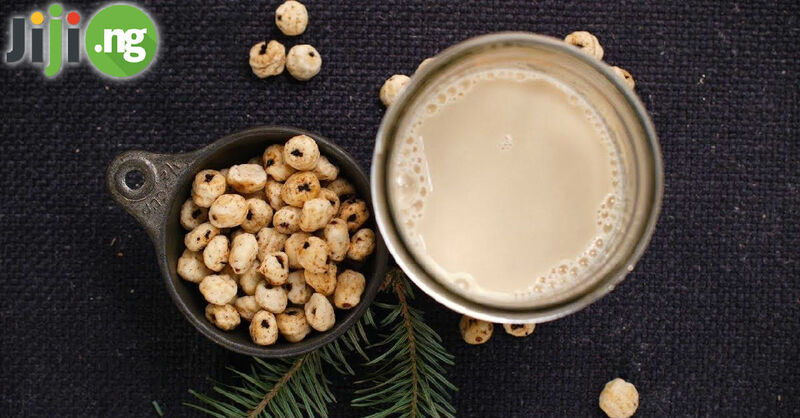 The antioxidant powers are maximized by boiling so you can boil the groundnuts before turning them into a delicious snack for maximum healing effect. Thanks to being exceptionally rich in protein, nutrients, and vitamins, groundnut is truly a power snack. It boosts your energy levels, which makes it an ideal food to eat in the morning. It also helps your muscles grow faster. You can get the same benefits even if you’re not consuming whole peanuts, but are simply cooking with groundnut oil. Groundnut oil production is one of the fastest growing businesses exactly thanks to its growing popularity among Nigerian families. While you can always buy groundnut oil from stores, making your own products will allow you to know exactly which ingredients were used and where they come from. If you’re ready to make your first batch of oil, here are steps on how to make groundnut oil. To make groundnut oil, you will only need one ingredient: raw groundnuts. Besides that, you will require a powerful mill or blender, a pan, and a kitchen stove. Before moving on to the extraction process, wash the groundnuts and pick out the damaged ones, so that they won’t affect the final taste of the oil. When you’ve filtered out the bad groundnuts, put the seeds into a pan and put it on low heat. This not only helps the groundnuts get their distinctive flavor but also makes it easier to remove the skins. After the groundnuts have cooled down, rub them between the palms of your hands and the skins will come right off. The next step is grinding the groundnuts very thoroughly using an industrial mill or a blender. A blender can easily get overheated, so it’s important to make pauses between grinding. Gradually add hot water to the ground peanuts and squeeze the paste in small portions to let the oil out. Put the paste that remains after squeezing into a pan and turn on low heat. The rest of the oil will come out during the heating process. Pour all of the oil you’ve collected into a clean jar and store in a cool place.